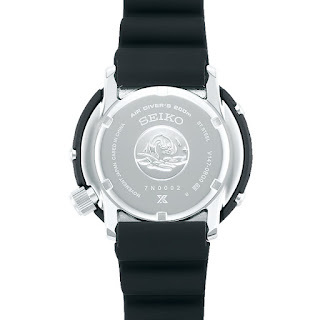 This is the Prospex Solar Diver Scuba x LOWERCASE Ref. SBDN059, the latest Prospex x LOWERCASE collab made exclusively for Freemans Sporting Club. 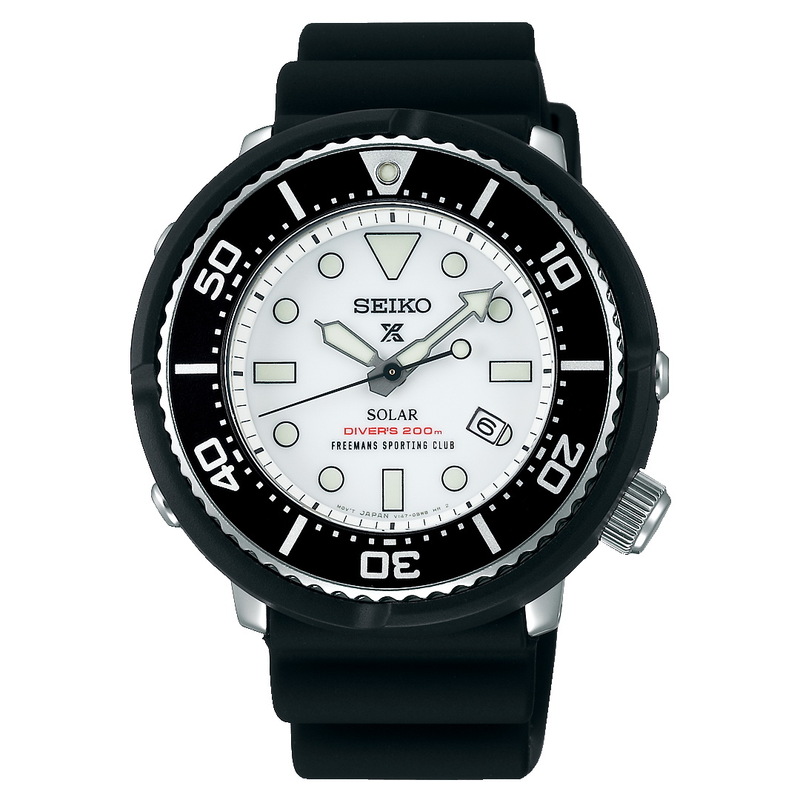 I'm pretty sure you know the basic watch but for those that don't . . . 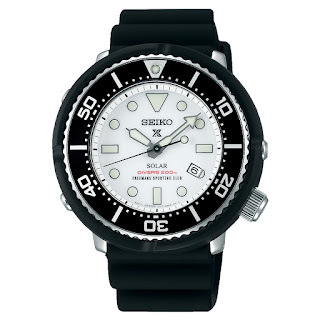 Divers features include: 200m of water-resistance making it suitable for scuba-diving, anti-magnetic-resistance, a one-way bezel and a screw down crown and case-back. Did you notice the text CASED IN CHINA??? That’s a new one on me. The SEIKO Prospex Diver Scuba by Lowercase for Freemans Sporting Club Ref. SBDN059 has a Japanese MSRP of 40,000 JPY+TAX.